With the recent release of the Google Penguin, the talk is all about Google's algorithm updates and how they effect websites. Yesterday, I wrote about what these updates are all about. And as promised, I am here to share some tips for recovering from the Google Panda update. 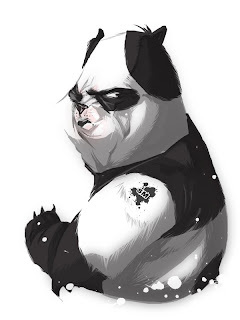 Google Panda was the first radical change in the search model since many years. And basically, it was aimed at getting rid of low quality websites and bringing higher quality websites in SERPs (Search Engine Result Pages). Many bloggers saw a drop in their traffic, drastic in some cases, while some also benefited from this update. The impact was negative by far, and this update effected 12% of the total websites when it was first released. With this update, we can say that Google raised the quality bar for many bloggers. Now, much more was expected from them. 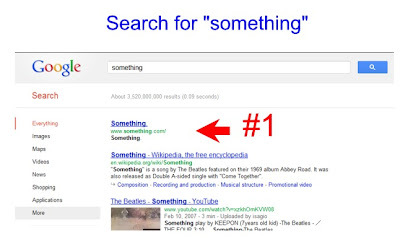 Good quality and basic level SEO became mandatory for keeping up in accordance to the wishes of Google. 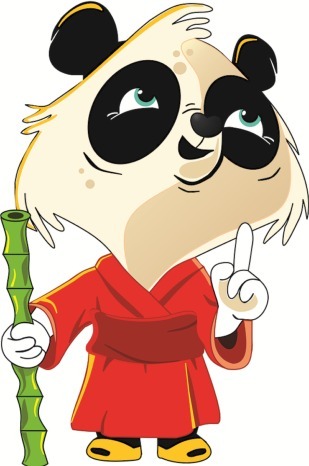 This update had by far the widest, most negative impact on websites ever, and to this day, some blogs have not fully recovered from the gaping hole in their traffic that was bitten off by the vicious Panda. So here, I am going to talk about some SEO tips that will help you counter the traffic loss from Panda, and prevent any future updates from harming your website. Part1: Google Penguin and Google Panda Penalty - What's that? Part3: How To Recover From Google Penguin Update Penalty? Part4: When will the next Google Penguin Update Take Place? Part5: How to identify SEO Over Optimized blog or website? Part6: What is the ideal Word Count limit for an optimized Blog Post? What sort of websites were hit? Low quality - This much is pretty obvious by now. Websites with low-quality or "thin" content got effected. You might think your content was good quality, but the fact is, quality doesn't mean just good English. It also includes adequate quantity, inter-linking, etc. Content farms - Google also discourages content farms. Sites with just quantity, but no quality content and inadequate SEO were effected by this update pretty badly. Duplicate content - Redundant and duplicate content is hated by everyone, including Google. Excessive use of advertisements - I have seen many such sites where there's an ad left, right, top, bottom, and within the content as well. As a blogger, I know the guy's feelings, as he wants to earn money. But as a web-surfer, I hate it! It comes under lack of user experience, which is not good in Google's big eyes. Over optimization - According to Google, it penalized websites that used black-hat SEO tricks to get their low quality content to the top results. One good example is something.com. No seriously, this is a website! If you go there, you will see just one word on the entire site, and that word is "something"! What a joke huh? Well get this. The content was negligible, but prior to Panda's release, this site came on top of Google's SERPs when you searched for the keyword "something". Freakishly weird, yes? Needless to say, black-hat SEO tricks were used a lot those days. There's one important thing you need to know about Google Panda. Earlier, search result showed webpages based on their individual quality. After Panda though, things changed. Panda was a domain-level update, which means one bad quality page could impact the whole website's rankings. So this became the bane for most blogs, who had had poor quality content from the time they were newly launched, and their owners didn't know much SEO or quality content. Okay. I know I have said this a lot. So I won't repeat it (after this one more time, I swear :P). So you know you have to create good quality. But how? Well first of all, improve your grammar. Use spelling and grammar checks available in good editors like Microsoft Word etc. Secondly, write a good intro paragraph for your posts. Keep your posts above 400-500 words. Use Images and videos whenever possible, and most of all, inter-link your pages. For more about quality content, visit Google's guidelines for writing quality content. This should be your first step. Hurry and go into your archives, and review the content from long ago, when your blog was still new. Chances are, you didn't write much quality posts back then. Either update those pages, or remove them. Google penalizes websites on a domain-level. So any one bad post can be the weak link Google has been looking for. Once you are done trashing your old, low quality posts, it's time for dumping your ads. Look at your website from a critical eye, and look for any obtrusive ads. Generally, one banner at the top, one ad at the side, and one in the content is fine. But don't push those boundaries. Never ever use more than one ads within the content. Ever since Google introduced the +1 button, it has been expecting people to use it. The more +1s you get on your content, the more Google likes you. And this isn't just about Google+. You have to be active on other social media too. Google likes it when people from various social media come to your site and share or like your content. You might very well know that plagiarism is a very bad thing, and Google hates it. What you might not know is, you might get into trouble if someone else copies your content. Thus far, Google can't tell the difference between original and copied content. Thus, you need to manually complain against such content copiers. Don't just ignore them. Lodge a complaint with Google against the offending sites. See how MBT treats those that copy its content. People might say otherwise, but backlinks are a force to be reckoned with. They can really help out your blog with the traffic and rankings. But those backlinks should be genuine, and good quality. Work on building backlinks by writing guest posts, articles, etc. Never buy backlinks. Such backlinks are bot generated, and are considered as spam. Not only that, they are low quality backlinks which do more harm than good for your blog. Google frowns on these backlinks. You should too. SEO is very important. I said earlier that people got penalized for over-optimization. You don't need to do that. But you do have t learn basic SEO. This includes meta descriptions, keywords in titles and paragraphs, image optimization, etc. Look at my 20 Hot SEO tactics for more info. If you don't want Google to index a low quality page, you can simply noindex that page. This simply excludes that page from Google search. This is a good way to hide your "About Us" or "Contact" pages, which are there just for the user and have little quality associated with them. You might want to interlink maximum of your older posts into new ones. Not only does this breath new life into them, it also helps out crawlers. And Google likes this practice. We already talked about backlinks, or inbound links. Now, let's talk about out going links. Keep an eye on the number of dofollow links you give away. You're in serious trouble if you have more outgoing links than incoming links. Google considers this as spamming, since anyone can get a website running and add links to it to supplement their main website. I can Just Say WOW!Awesomely written article. I am a daily reader of MCT please give me a chance for guest post! you already have the opportunity waiting for you at our sister blog,sem. nice post pal ..nice tips..
2 High Authority Backlinks Every Webmasters Must Grab!! Nice tips bro, you made me aware of some tips to protect my blog from panda updates. nice and informatory thanks for shearing . i love the way u write but one thing strikes me that u said in ur article about avoiding too much ads but your blog has too much ads. Why this so? anyways, the point is your ads should not annoy the readers.Here, we are having ads in the sidebar, above or below the post ; not inside the post which does not affect its continuity. "The focus of Panda is on removing sites that were ranking high, but had low value or shallow content and in some cases excessive advertisements," said Stephen Peron, Director of SEO, LSF Interactive. Generating unique content on your blog is the safer way to save your blog from Gogole Penguin update. I've written about top 10 reasons why Google hates your blog. Hopefully, it would be beneficial for fellow bloggers. Hi Qasim, great article. This is a very comprehensive list SEO strategies to avoid getting hit by Google Penguin. What is your take on Guest posting? HI Qasim i have a problem when i post new article it indexed faster but not appearing in SERP's and what is this? either i have been penalised by google or i have poor backlinks ?? After reading this blog i'hv nothing to say..... just awesome..... very nice... its informative too..
i read this article and improved my old post. but i have 1 doubt i have used keywords in meta description is it also come in keyword stuffing? and in my post meta description i use alot keywords expect like. "build a pc , how you can build pc , how to make a pc , build a pc in 10 minutes , easy create a pc "
is it ok or its also keyword stuffing and google will action on this ?? I have read the second post of this series.and I have really many things from this. As per advice, I will remove low quality pages from crawling. But, If you help me, how to do this. thankss for sharing this. i guess i didnt follow some of the rules here. that was why my skin care blog got hit by the google update. thanks again for sharing. Thank you very much Qasim, I also wrote a guide in here but for blogger users. How to recover from panda for blogger users. Very good article. I dont whether my website has been hit by google panda or not? Can you tell me how to find out. My business site has gone down and it is affecting my business. good strategies for Protection thanks for share..